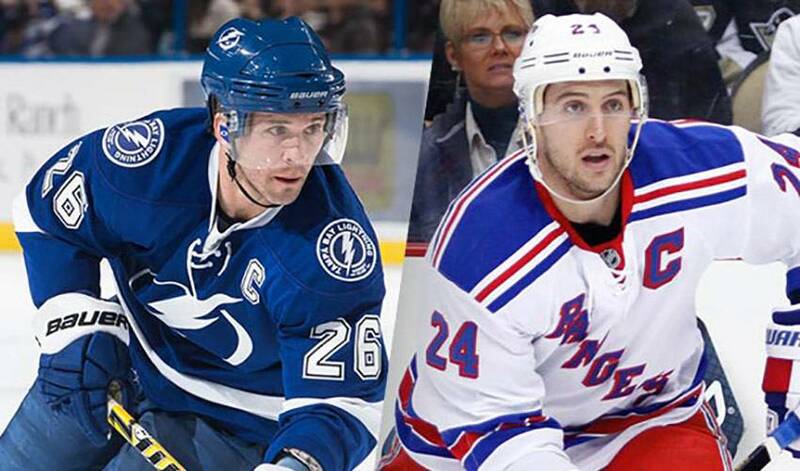 The New York Rangers acquired the offensive St. Louis from the Tampa Bay Lightning, with star forward Callahan heading to the 'Bolts in the blockbuster deal that happened on the NHL's Trade Deadline Day. A dynamic, game-changing veteran, the 38-year-old St. Louis, who recently won gold with Team Canada at the 2014 Winter Olympics in Sochi, is still very much at the top of his game. He won the coveted Lester B. Pearson Award (now known as the Ted Lindsay Award) in 2004, taking home the Hart and Art Ross (he also was honoured with the Art Ross in 2013) trophies that same year, a season that also saw him hoist the Stanley Cup. In 1,042 career games, the three-time Lady Byng recipient has 973 points, highlighted by four 90-point campaigns. Callahan, a native of Rochester, New York, brings a solid two-way game to the Sunshine State. In 2013-14, he has recorded 11 goals and 25 points in 45 games. He also suited up for the United States entry at the 2014 Olympics, winning silver for his country four years earlier in Vancouver. He was announced as captain of the Rangers on Sept. 12, 2011, the 26th in the history of the Original Six club. He is the fifth-youngest captain in team history and became the first homegrown captain to hold the honour since defenceman Brian Leetch in October 1997. The last Rangers captain to be dealt was Hall of Fame legend Mark Messier (in 2003), who was traded to the San Jose Sharks for a fourth-round draft selection. Ironically, that pick turned out to be Callahan. In 450 NHL games, Callahan 132 goals and 254 points. In 59 playoff contests, the 28-year-old has 24 points.